Ah, acne… you’re an inevitable part of middle school, but why must you follow me into my twenties?! Don’t you know I have a full-time job and no time for your nonsense? Over the last year, I grew tired of pouring money into drugstore acne “cure” gimmicks and wanted to make my own skin-clearing mask at home – one that actually worked, for a change! I have tried all the drugstore masks that seemed popular and well-liked on social media sites, but when I’d scrape them off my face at the end of the 15 minutes, my pores seemed even more clogged, and my acne never slowed its roll. So I explored a few options and did my research on natural, organic ingredients that had anti-inflammatory or anti-bacterial properties. Alas, good ol’ raw honey and organic cinnamon took the stage and performed a magnificent duet. Raw honey has a pH level of 4.5, making it great for helping skin to stay within the healthy pH range of 4.5-5.5 so that it’s better protected from complexion-destroyers like bacteria and pollution. It’s also an antiseptic and has antimicrobial properties to kill acne-causing bacteria. Additionally, raw honey is an anti-irritant so it’s great for sensitive skin like mine! Organic cinnamon is the other multi-tasker in this equation. It’s an anti-viral, anti-bacterial and anti-fungal ingredient that will work to reduce the size and redness of existing breakouts, while also helping to prevent new ones by killing off bacteria. Cinnamon also contains antioxidants that protect the skin and keep it looking smooth, youthful and taut. This is the part of the mask that will surprise you once you rinse it off, because existing breakouts will be much less visible already – as has been my own experience. 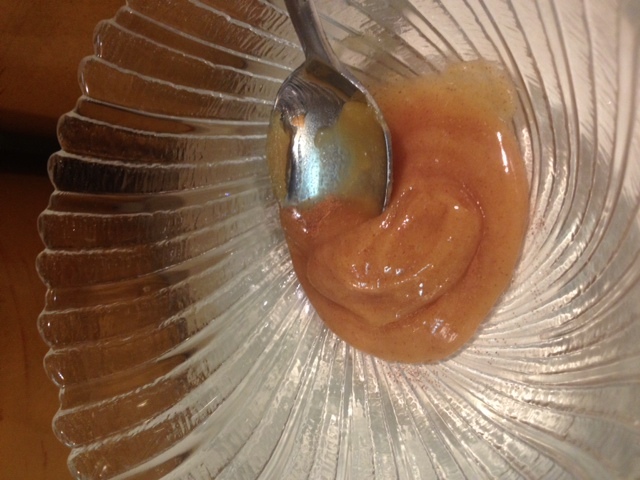 Step 1: Spoon out 1-2 Tbsp raw honey and mash with a spoon or heat for 10-20 seconds to soften until it reaches a smooth, spreadable consistency. Step 3: Massage it into face really well, using slow, circular motions and let it sit for about 15 minutes. If you’re currently experiencing a particularly angry breakout, let it sit for 25 minutes. I usually do this mask right before my shower at night so it’s easier to wash off, but if that isn’t your preference, you can rinse it off with warm water and the help of a face cloth to remove the sticky honey. I’ve been able to do this mask about 4-5 times per week in the past and haven’t had any irritation or “backlash” from my skin for that frequency, but you should start slow and see how your skin reacts. Let me know in the comments if you end up trying this and how your skin looks! Sounds great. Bet it works well to remove toxins on anyone’s skin.